You'll be £19.99 closer to your next £10.00 credit when you purchase The Persian Invasions of Greece. What's this? In 490 BC Darius I, Great King of Persia and the most powerful man in the world, led a massive invasion army to punish the interference of some minor states on the western borders of his huge empire. The main enemy was Athens. The resultant Battle of Marathon was a disaster for Darius and one of the most famous victories for the underdog in all military history. The Persians were forced to withdraw and plot an even bigger expedition to conquer Athens and the whole of Greece once and for all. Spartan King Leonidas at Thermopylae, the sacking of Athens and the famous naval clash at Salamis, which saved Greece. The following year, 479 BC saw the remaining Persian forces driven from mainland Greece at the epic, yet strangelyless- famous Battle of Plataea, one of the largest pitched battles of the Classical Greek world. Dr Arthur Keaveney, an expert on Achaemenid Persia, re examines these momentous, epoch-defining events from both Greek and Persian perspective to give a full and balanced account based on the most recent research. If you enjoyed watching the Spartans in the recent movie '300' then this is the book to set it all in context. The very start of the fifth century BC saw the Persians (whose empire covered the areas of modern Iraq, Iran, Turkey and Syria) decide they needed to punish the Greeks and bring them under Persian overlordship. Five whole decades of strife ensued, with Darius and his son Xerxes both ultimately failing to do the job. Along the way they caused famous battles at Marathon (a 26-mile run from Athens), Thermopylae (where Leonidas and his 300 Spartans fell), Salamis (where the Persian fleet was trounced) and Plateaea. Keaveney does a fine job explaining events in a readable and sensible way. This is no mean feat, given that much of our knowledge comes form the legend-filled pages of Herodotus! A few of these stories creep into the author's account to provide colour, but mostly we get the kind of balanced analysis of events we'd expect of a teacher of ancient history. Having dabbled in the classics - and struggled through some impenetrable textbooks, I can say this book makes a very handy primer on the events of 499-47BC. (The wars entered a new phase after the Persian land forces in Greece suffered defeat at Plataea in 479, and the book only mentions the remaining decades before the Peace of Callias in 449BC in a cursory fashion.) The 130 pages include chapter notes, a short bibilography, and index. There are seven rather useful maps and a separate section of 18 colour plates that are mostly photos of the places mentioned. Sadly for modellers there are no illustrations of the main combatants to show the different arms, armour and clothing. 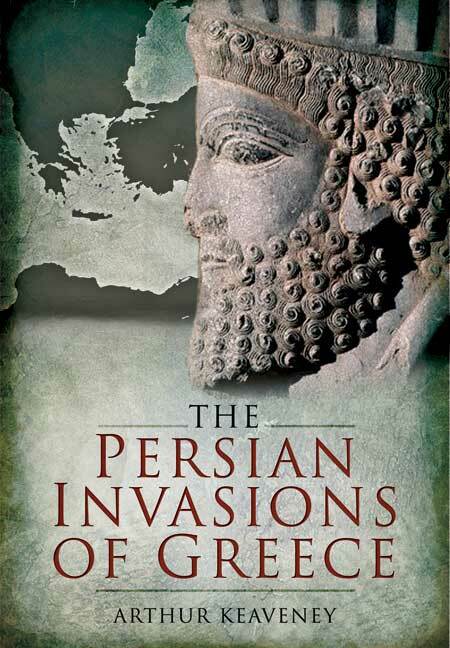 Highly recommended in particular for researchers interested in the Persian Invasions period. The two Persian invasions of Greece are amongst the most famous military ventures in history, and a myriad of books have been written about them. This doesn't mean that a new book on the subjects needs and unusal twist, but it certainly helps. In this case the twist is that the author is an expert on Ancient Persia, not on Ancient Greece. He thus has more in-depth knowledge of Persia, the nature of the Empire and its army, the motives of its rulers and the debates that surrounded the two invasions. Although this is a fairly short book at 130 pages the author actually provides a better account of the Ionian Revolt and its background than is normally the case. The personalities of the Ionian and Persian worlds also get more prominence (and the Ionians don't disappear once the Persians move into Greece, as can often be the case). The Greek point of view isn't neglected. The debates between the cities states and the impact they had on the campaigns is well covered, as are the major battles themselves. As a result this is a well-rounded account of these pivotal wars, and would make a great introduction o the topic, while the increased coverage of the Persian side gives it value more knowledgeable to the reader. Dr Arthur Keaveney has been teaching Ancient History at the University of Kent at Canterbury for over twenty years. His interests cover both Greek and Roman history but he also has a special interest in the Persian Empire. His previous publications include The Army in the Roman Revolution. Originally from the Republic of Ireland, he has long been settled with his family in Canterbury.